We put the size 28 shoulder bag from the Vanguard Vojo range to the test. The Vanguard Vojo 28 Shoulder bag has space for a camera, accessories and there's a padded compartment for a compact laptop computer. It's soft, canvas-style material and leather accents make it less obvious that it's actually a bag full of camera equipment, plus the inner compartment can be zipped up and removed so your equipment stays safe while you use the Vojo as an everyday bag. The Vojo 28 is one of 12 bags found in the Vanguard Vojo range and more information on all the sizes available can be found on the Vanguard UK website. The Vanguard Vojo 28 has a rugged look and is constructed from Polyspun Polyester. It will hold a DSLR with medium zoom lens attached, 2-3 extra lenses, accessories (memory cards, battery and charger) and up to an 11'' screensize Ultrabook. The Vanguard Vojo 28 features two large zipped pockets on the front of the bag, one of which is secured under the bag's front flap while the other is hidden under the leather trim detail found on the flap. This particular pocket is ideal for travel documents you need to access quickly and easily while the inner pockets will keep memory cards and other small items safe. In the main compartment there's space for a laptop and documents, plus the area which houses your camera equipment can be removed making room for everyday items. 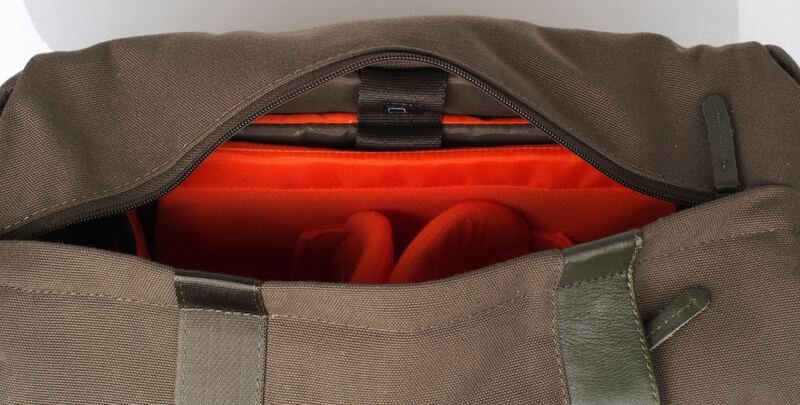 Also, the inner compartment, which has dividers that can be adjusted, features a zippered top so you can use it to keep your equipment safe in a different bag or when in storage. When the inner compartment is placed inside the Vojo 28 it's secured in place with Velcro. There are side adjustment straps so the Vojo 28 can be reduced in size when not carrying camera equipment and a raincover protects the bag from the elements if caught in a showers. A handle on the back means the Vojo 28GR can be attached to a wheeled suitcase and on top you'll find a fully adjustable padded shoulder strap. The Vojo 28GR also features zippered Quick Top Access so you can access equipment without unfastening clips. To keep your equipment secure, the Vojo 28 features an adjustable protective flap on the front which has two clips which makes it more difficult for people to access your equipment without you knowing and the flap is also secured via two pieces of Velcro found on the front of the bag. The Vanguard Vojo 28 feels really well made and easily fits a DSLR with small attached lens and two extra lenses of up to a 200mm length, along with memory cards, chargers and other small accessories such as a mobile phone in the front pockets. 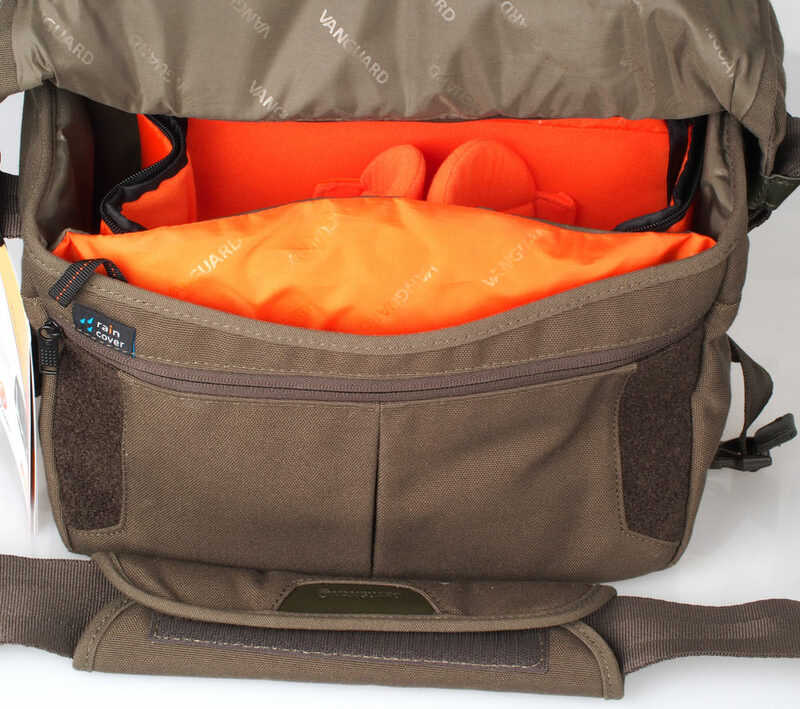 The bag is well padded all over which means your equipment will be kept safe, plus the padded back panel and shoulder strap make it more comfortable for the user, too. 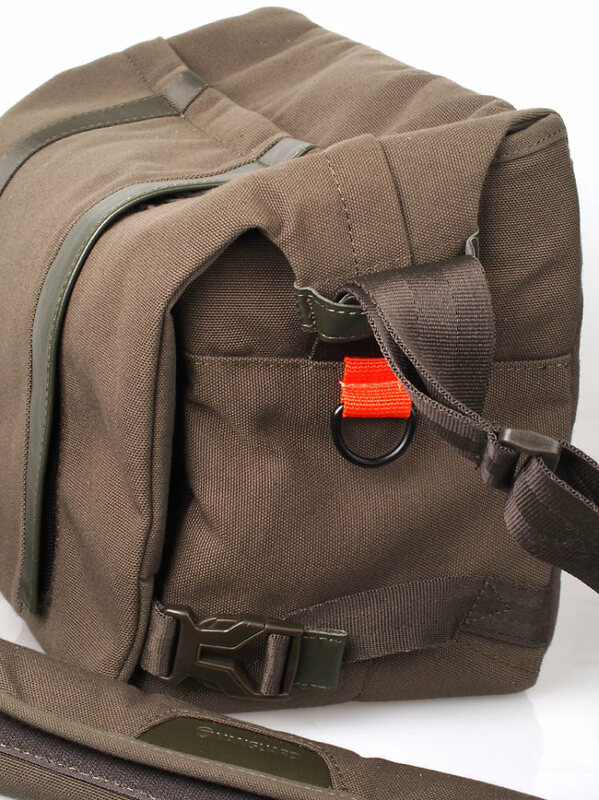 As with all of Vanguard's camera bags, the inside padded dividers are movable and secured by velcro, allowing you to customise the bag to fit your gear requirements exactly. 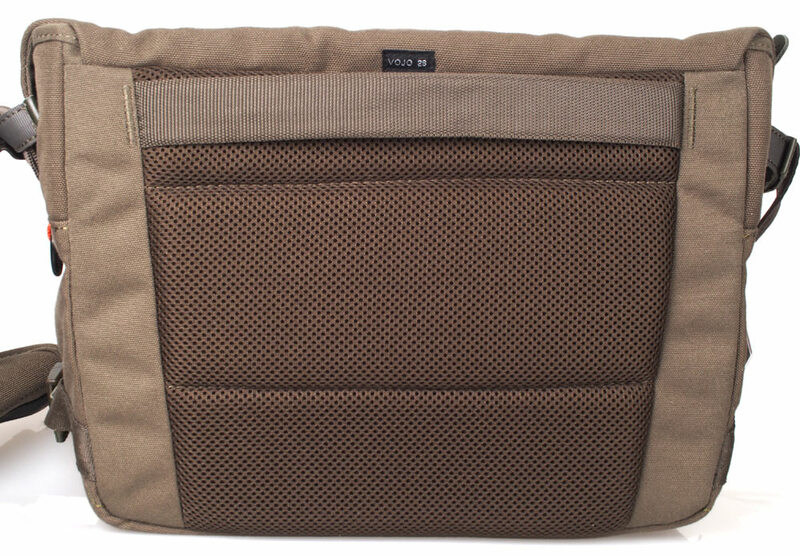 The pockets are in useful places and as almost everyone has a laptop or tablet now, the laptop pocket is a handy and rather essential feature. 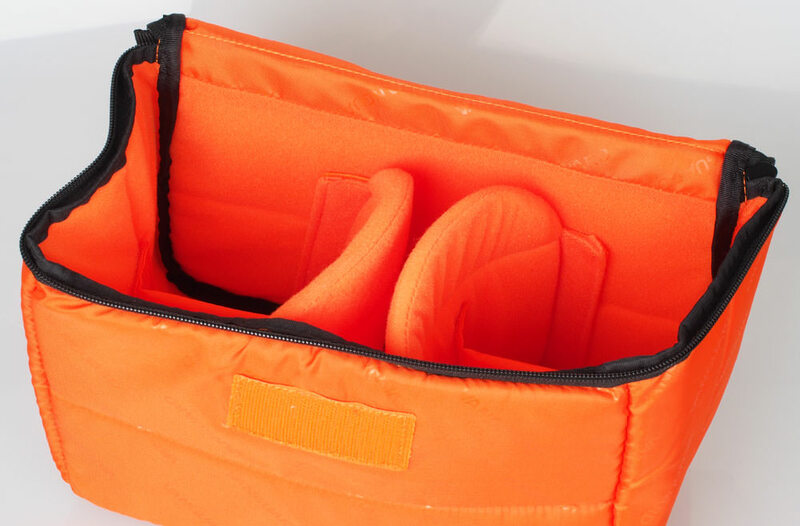 The clips which are used to secure the bag are chunky and easily grippable while the Velcro can be used to secure the bag in situations where fastening the clips could mean you miss a shot due to the time it takes to unfasten them. If you do want to keep the bag secured, however, there's a top zip which allows for easy and quick access to your equipment without you having to unfasten the flap. There's no feet or added protective material on the bottom of the bag to protect it when placed on the ground, however the material the bag is constructed from does feel strong and robust so this shouldn't be a problem for the majority of photographers. There's no smaller slots for memory cards either but this is just a minor point and there is plenty of space for accessories and other essential items. The Vojo 28 is comfortable to wear and will be ideal for both city shooters as well as those who prefer to take longer walks in the countryside to capture landscapes. The Vojo 28 is available on Amazon for £119.99 which may sound expensive, however it's very well made and will protect your equipment while still remaining light and easy to carry. 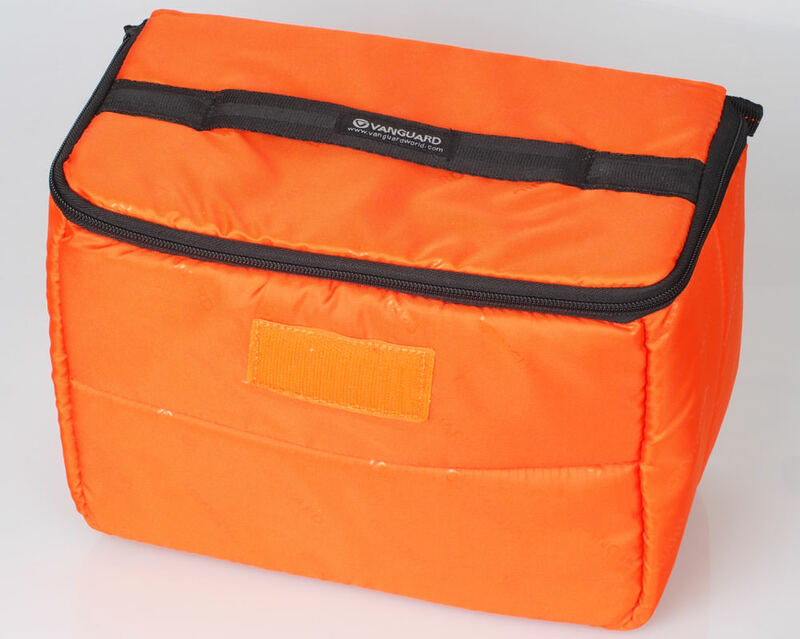 The inner compartment with its zipped lid is also an excellent feature that not only keeps your kit safe in this bag but can be used in other bags, too. 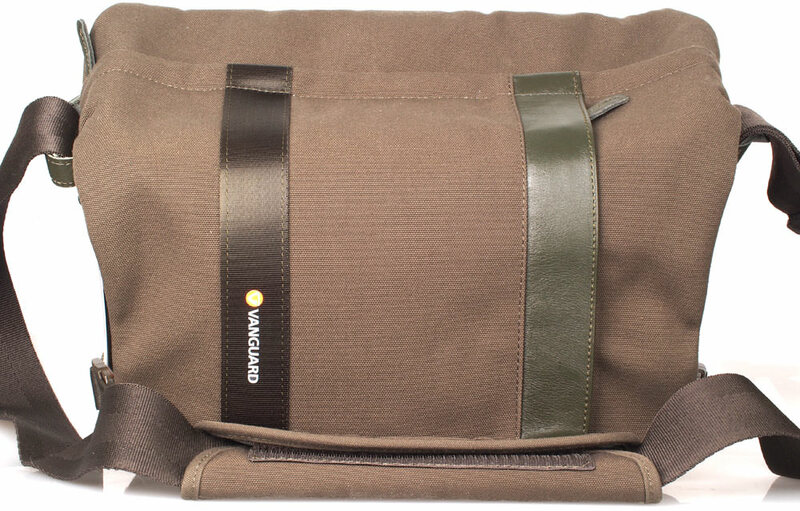 A bag of a similar size and looks is the Tamrac Apache 4 which is available for £79.95. The Apache 4 is of excellent quality but it doesn't feature a removable inner pouch for your equipment or a rain cover. The Vojo 28 is a good-looking camera bag that securely fits plenty of equipment in its main compartment, plus there's room for personal accessories in the additional pockets. The removable inner pocket is a nice feature and the rugged design makes it fashionable as well as practical. 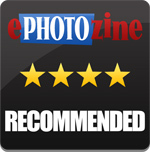 It doesn't shout 'camera bag' and will be useful for both weekend city breaks as well as day trips to National Parks and other areas of natural beauty. The Vojo 28 is a good-looking, practical camera bag that has plenty of storage room and is well designed. A new era of E2 :):):) great start to the New Year !!!!!!! A new era of E2 great start to the New Year !!!!!!! Very foreward thinking, good proposals. Oh do we have to change? I was just getting used to the changes made last time. Seriously…I think it all sounds like a step forward surely that’s what we all want, I’ve thrown out all my out of date gaslight paper now and look forward to the future. All the very best to the team in 2015, you have an unenviabe task ahead i fear.